Among this week’s ComiXology releases are The Flash vol.2 #13-14, in which Wally West, still early in his solo career, battles Vandal Savage and a host of Savage’s pawns given super-speed by the drug Velocity 9. 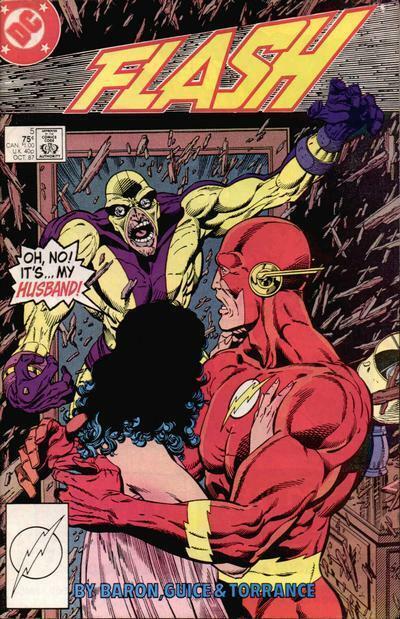 This completes the Mike Baron run on the character, except for the 1987 Flash Annual #1 (a stand-alone story mixing the Flash with movie-style martial arts as Wally accidentally develops the “death touch”). Since ComiXology already had the first four issues of the William Messner-Loebs run (including the recommended “Adventures of Speed McGee” three-parter), this also completes the first 18 issues of the series, and the Vandal Savage/Velocity 9 story that spans the transition between writers. This entry was posted in Out This Week and tagged ComiXology, Digital Comics, Mike Baron, Vandal Savage, Wally West on May 15, 2012 by Kelson. 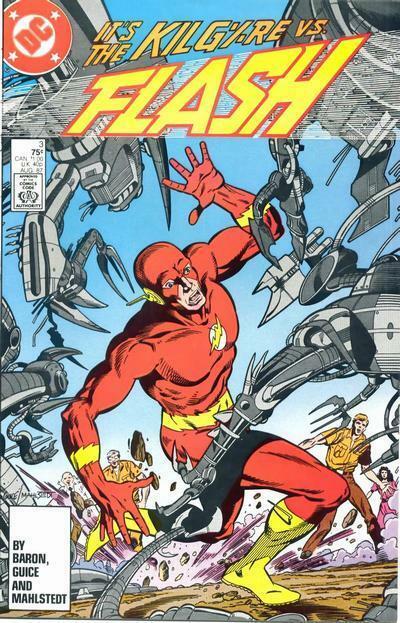 DC and ComiXology have added six more issues of the 1987 Flash vol.2 starring Wally West, all at the 99-cent price point. These issues introduce Red Trinity and Blue Trinity, two teams of ex-Soviet speedsters, as well as Chunk, who would go on to become a regular supporting cast member. 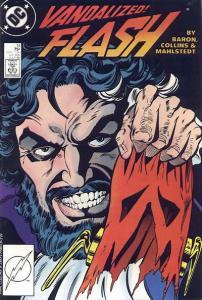 Issue #12 begins the Vandal Savage/Velocity 9 story that straddles the transition from Mike Baron to William Messner-Loebs. 70 issues out of 249 (including #0 and #1,000,000) are now available digitally, including the complete first year. Mike Baron’s run is almost complete, with just two more issues to go. It’s not clear whether DC has a regular schedule for these digital back-issues, but the last time they added to this series was January’s addition of #1-6. This suggests that they’ll be adding six issues every few months, starting at the beginning and working forward, filling in around the issues released as part of the Flash 101 promotion last year. They’ve also added six issues of Adventure Comics from its 1970s run as an anthology book. 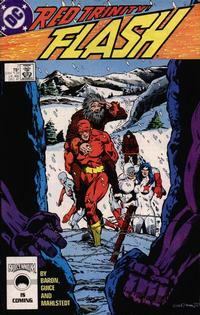 Issues #459-466 featured eight Flash solo stories starring Barry Allen. During the heavily serialized Bronze Age, these were throwbacks to the more goofy done-in-one Silver Age stories. I didn’t even know about them until I read one of Mark Waid’s interviews in The Flash Companion, then I started tracking them down on eBay. I’ve read the lot of them, and wrote about the stories here a couple of years back. 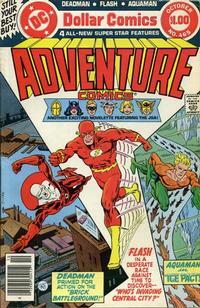 ComiXology has Adventure Comics #461-466 online at $1.99 each. Only a handful of the Silver/Bronze Age Flash series are available, most posted during the Flash 101 sale mentioned above. 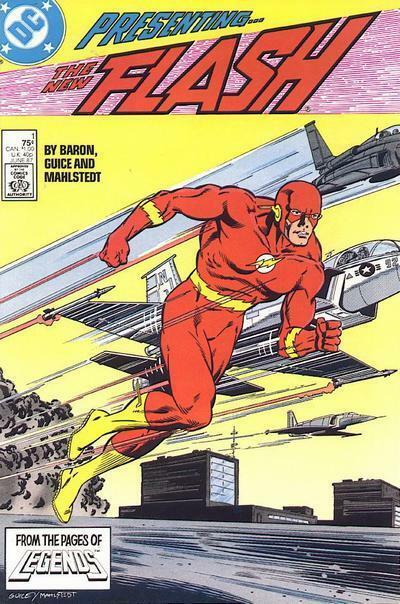 This entry was posted in Out This Week and tagged 1980s, Adventure Comics, Barry Allen, Bronze Age, ComiXology, Digital Comics, Mike Baron, Wally West on May 9, 2012 by Kelson.